Imidacloprid: a solution or an anathema? In this modern age, the thought of food pesticides turns many consumers off. Pesticides have been used since Sumerian agriculture 4500 years ago, but its effects on people have only been documented for the last fifty to sixty years. The research and findings have generated enough awareness and disgust to propel the organic movement, a return to what's natural, though many consumers are unaware that organic farms still use pesticides. The difference is, the pesticides are certified organic. When it comes to oyster aquaculture, consumers mostly regard the farming practice to be positive and sustainable because farmed oysters live and grow in their natural habitat and do a lot of good for the environment. Recently, however, news of a pesticide permit for Willapa Bay and Grays Harbor in Washington, the nation’s largest shellfish producing bay, has sparked outrage as the public learns of pesticide use in shellfish aquaculture for the first time. The backlash caused the state to withdraw the pesticide permit approved last April, disappointing many Washington shellfish growers who were depending on it. So what’s going on? Why are Washington shellfish farms using pesticides? Since at least the 1940s, the Pacific has been plagued with two native species of inedible burrowing shrimp. The shrimp feed by digging in the sediment, and in doing so, soften the sand and disrupt the structural integrity of the sediment causing shellfish to sink and suffocate. Eelgrass habitats that support other marine organisms are also affected because the sediment is too soft for roots. Once the shrimp take over, many of the tidal beds become useless as the shrimp get as dense as 400 shrimp per square meter. The state recognized the damage caused by the shrimp and began testing various control methods. Carbaryl or Sevin, an insecticide, was approved in 1963 and was used until it was phased out in 2013 after carcinogenic effects were discovered. As water temperatures have warmed, the shrimp population has increased and without a way to control them, many commercial shellfishermen are watching the shrimp destroy their once productive beds that now look like moon craters. The permit approved last April was for the use of imidacloprid, the most widely used insecticide in the world, even found in flea collars for pets. The dosage approved was 1/16th the dosage of carbaryl per acre, a highly diluted amount. Recent research, however, suggests imidacloprid may be responsible for the collapse of honey bees, and several countries have already restricted the use of such neurotoxins. So should imidacloprid be permitted? Imidacloprid is far safer than carbaryl and would be used in a smaller and highly diluted dosage applied by hand. It would never be sprayed on oysters, only on the sediment before oysters are even seeded there months later. It would prevent a worse case scenario of a 70-80% reduction of shellfish production – the bay currently yields about $35 million in product and is the economic backbone of Pacific County, employing many of its residents. The insecticide does not kill the shrimp, but paralyzes it. Burrowing shrimp is an invasive species destroying other parts of the ecosystem like eelgrass habitats and the estuaries. Imidacloprid would only be sprayed in non-eelgrass areas with dense shrimp populations. Many generational growers will lose their farms and not even be able to sell them because the flats are unproductive. Imidacloprid is highly water soluble and has very low toxicity to fish even on an acute basis. Bees do not frequent shellfish beds. The burrowing shrimp are native species to Washington. The cultured gigas oyster originally from Japan is the invasive one. There would be uncertain consequences to the aquatic ecosystem. Because imidacloprid is highly water soluble, it shouldn’t be applied directly to water. Although the imidacloprid paralyzes the shrimp, the shrimp eventually suffocate and die. Imidacloprid is highly toxic to aquatic invertebrates, moderately toxic to small birds, and may affect other subsurface organisms. If there is no light, imidacloprid will break down slowly in water in which the half-life of imidacloprid is about 1 year. NOAA and U.S. Fish and Wildlife Service oppose the use of imidacloprid on ocean environments. Pesticides can drift into neighboring farms of growers who refuse to use pesticides. We are changing the land and sea to better our human production needs. If aerial application is allowed, there might be potential spray drift from the helicopter. Potential confusion in public access areas treated by imidacloprid. We summarized the main arguments from both sides above. Shellfish growers in Willapa Bay are just as torn as some growers are for and others are not. Culling, sorting oysters by shape and size, is an important step in getting oysters to market. Restaurants prefer oysters that have strong shells, easy to find hinges, beautiful shapes for presentation, and of course, deep cups filled with meat. Unfortunately, not all oysters are created equal, so growers and harvesters have to sort through their stock to find these restaurant beauties. Each grower has his or her own set of rules in determining what defines the highest grade of oysters, also known as "choice" or "select" oysters. Oysters that don't meet that grade are known as "standards" and are typically sold cheaper than their prettier counterparts. The good news is there is always a home for any grade of oyster! Despite its shell shape, an oyster still has its flavorful meat inside, so commercial grade oysters, the lowest grade of oysters, go to shucking houses to become processed as shucked oyster meats. Many chefs enjoy using in-shell oysters for oyster meats and stuffing, so standard grade oysters are a good choice because they're freshly shucked and affordable. Since growers and harvesters determine their own rules and grades, there are many descriptors and terms used to describe oysters. This is most obvious when it comes to oyster sizing. Each region has their set of terms to describe shell lengths, and even within a region, there are some nuances among growers. We put together a summary of the different sizes and grades on the right to assist with your future oyster buying. All the different terms can get confusing, so we hope this chart will make it more straightforward and clear. You can save and share the chart just by right-clicking on the image. To learn more about culling, watch the video above as Ben discusses his process on the Standish Shore Oyster Farm. Always ask your suppliers about your oysters, like details on size and grade, because the more you know means the better buying decisions you'll make. In New England, summer is the time when oyster growers are working hard on the farm to get their baby oysters ready for open waters. Summer is also the time when growers are getting the upcoming season's crop ready for sale in the fall. As we discussed in a previous post, different culturing methods can produce totally different oysters, and there are many of them! Growers choose their preferred grow-out method based on a number of factors including their geography, potential predators, town regulations, and climate. We're going to expand on the most common methods because oyster culture terminology can get confusing, but hopefully this will also shed some light on your oysters and how they are spending their summer! As water temperatures finally warm up, food in the water is slowly growing more abundant for our baby oysters! Around May and June, growers in New England receive their new seed to put in their oyster nursery to grow for next season's oysters. Witnessing the beginning stages of our oysters inspired me to think about the schedule on an oyster farm. I realized as Standish oyster growers, it's an important topic for us to share with all oyster handlers and explain why suppliers should care. Oysters are hermaphroditic bivalves that spawn when temperatures fluctuate drastically. In the wild, this typically happens during the summer. Depending on the oyster's environment or life stage, the oyster can be male or female, but never both at the same time. Once the oysters spawn, eggs and sperm are released into the water to be fertilized. Adult females can release as many as 5 to 8 million eggs at one time! A great summary of the oyster life cycle. Farmed oysters spend most of their pre-seed lives in hatcheries and then move to farms for growout. Once the eggs are fertilized in the water, the developing larvae float around until they are ready to attach to a resting spot. These young oysters, also known as spat, will now need ample food (and time) to develop their hard shells for protection as they grow in size. 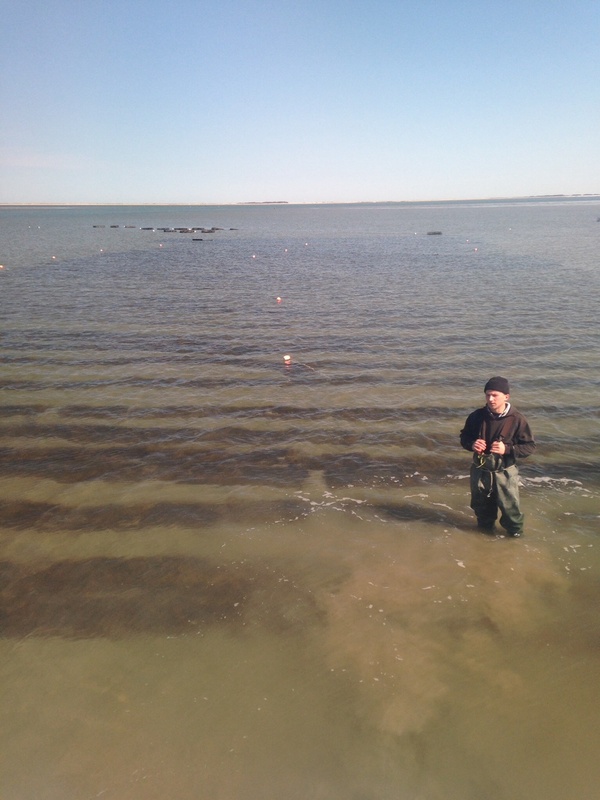 In many areas including Duxbury Bay, water temperatures do not fluctuate enough for oysters to spawn. If they do, there is not enough spat to collect to seed a farm. So instead of collecting wild spat, some oyster farms buy spat that has been spawned and fertilized in a hatchery. Oysters on our farm arrive when the spat is about 2mm in size. The oyster life cycle very much dictates the growing schedule on a farm. It takes 18 to 24 months for oysters to become adults or grow to market size, approximately 3 inches. Since growers only have a finite amount of land, they also only have a finite amount of oysters they can grow on their farm. Some of that area has to be devoted to oysters that are maturing to market size. Very much like agricultural farming, growers have to plan their farming schedule to allot enough time for growout. Lately, oyster supply has been really tight and in New England, much of it is due to the growing cycle. Most New England growers receive their oyster spat in late April or May when the waters are warmer and contain more food. Starting baby oysters in the winter would annihilate them. As mentioned above, it takes at least 18 months to grow an oyster to 3 inches, so if you count 18 months from April, the oysters will be ready the next October as summarized below. 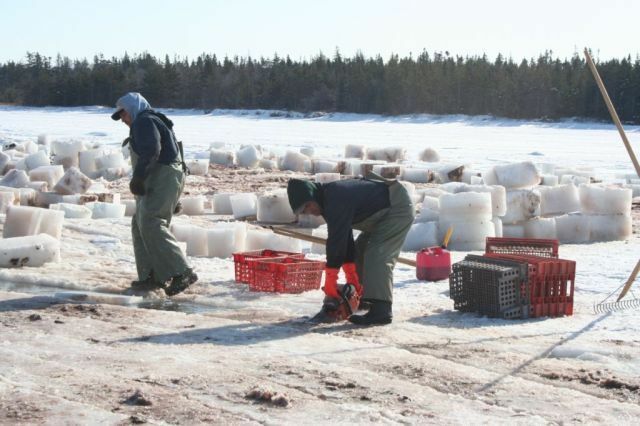 Many growers are close or already out of market size oysters from the 2012 crop. Those oysters were sold last fall. Now, growers are waiting on oysters to sell from the 2013 crop, and unfortunately, the late spring this year gave these oysters a slow start. Farms also sold many of their petites in the winter from the same 2013 crop for some extra sales, so we're seeing very limited number of those as well. Summer tends to be tight months for New England oysters because market size oysters are sold out, so the oysters left are those racing to reach 3 inches or simply little spat barely mature. So, what about wild oyster supply? As farmed supply declines, there is some pressure on wild supplies. Wild oyster growing cycles typically follow the oyster life cycle and should technically have consistent numbers. Unfortunately, it's hard for people to leave wild oysters undisturbed. It's tempting to harvest anything market size because of the sales potential, and with climbing demand, oyster beds are being picked over in areas like Wellfleet. Most of the pressures on wild supply, though, are due to regulations. Regulations obviously limit harvest amounts and implement sizing restrictions, but more recently, the development of vibrio regulations have had even greater impacts. As an example, the new vibrio regulations from Connecticut this summer have greatly limited the ability for fishermen to harvest Blue Point Oysters. The lack of New England oysters are definitely more noticeable now without the support of wild supplies. So, as we wait for our oysters to grow, we're getting the farm ready for our new seedlings that arrived in May. Last week, we finished our first grading of 2 million seed from our upweller nursery, and soon, they will get ready to grow in their aqua purses out on the tide. We have new help on the farm and a lot to do. Even though we can't sell these oysters yet, they will be 3 inches by next fall before you even know it. We're looking forward to the warm weather and the wonderful summer winds in Duxbury Bay. A new crop for a new season -- to 2015 and beyond! First, we purchase oyster seed from a hatchery, which usually comes in mid-May. We let it grow in an upwelling system, which basically circulates seawater very quickly around the oysters so they can filter more water and grow faster. Around July, they get moved into large mesh bags and slid into cages. They remain there until October. Sounds simple, but things get dangerous in October when the water temperature starts to plummet and the oysters go into hibernation mode. The oysters need a safe environment until spring when they start growing again. So, farmers are left with a few options. The most common approach here in Duxbury Bay is to "plant" the seed. Which means you literally throw your seed off the side of your boat and spread it across the bottom of your lease. This has its advantages and disadvantages. The most obvious disadvantage is that you're going to lose some of your crop; I'm not talking just a few thousand oysters here, I'm talking a few hundred thousand. The oysters are fair game to crabs, fish, birds, or any other parasite that prays on baby oysters. They could get silted into the mud and never return. They could be washed away in any of the massive storms we get here in New England, or even worse, crushed by ice. After reading all these potentially negative outcomes, you're probably thinking, "So, why would anyone ever choose to bottom plant in October?" We do it for one simple reason: it produces the highest quality oyster possible. The oysters planted on the bottom are like no other oyster on the market. The shells are extremely tough and durable. If you buy a bag of 100 count oysters you will receive 100 usable oysters. They don't break under the knife, which in my opinion is one of the most important traits of an oyster. They grow perfectly. There are minimal flares on the edges and very little hooked or misshapen oysters. On top of all that, the taste is second to none. This is what we are known for here. The alternative to bottom planting would be to "cage culture" the oyster, which means the oyster spends its life growing in a cage. This has proven to grow what I call "potato chips": long, skinny, weak oysters with no cup. The bottom planting approach is what separates us from the rest and helps us grow one of the best oysters on the East Coast. It's because we go the extra mile with everything we do. Every farmer in this town cares about quality over quantity. That's the key behind our success for the last decade. My friend and fellow oyster farmer, Greg Morris, calls it "the free range look." It's a look that only we produce here, and it's made possible by bottom planting. This winter, our farm took a different approach and added a twist to bottom planting. After tumbling the oysters one last time, we put the oysters into plastic mesh bags, and then put heavy duty zip ties on each bag. We then ran an 80 foot line through each hole on the zip tie and drilled augers into the mud to keep the lines from floating away. This less popular technique is known as "long lining." Though the seed is still in bags, they are tied down by the line to ensure they are bottom planted through the winter. This way, we are not losing our seed to Mother Nature and still being able to bottom plant. After checking the seed today, I think we made the right choice. We kept our two million oysters safe and sound all winter. I chalk this up to one thing: luck. Everything that happens in the winter is based on pure luck. A very skilled and seasoned oysterman from Duxbury named Christian Horne told me something a while back that stuck with me. He said, "Just because it works one winter doesn't mean it will work the next." I learned that firsthand this winter. The variables are endless: wind, temperature, tide, environment, atmospheric pressure, barnacle sets, ice bergs, the list goes on. We could have had an iceberg sweep across our long lines and take them all out to sea, but it didn't happen. Mud could have silted over the bags and suffocated the entire crop, but that didn't happen. People swore to me the seed would be to exposed during negative tides and the elements would freeze and kill the oysters, but that didn't happen either. Now, we're here at the end of March, left with two million healthy juvenile oysters ready to be safely bottom planted and released from their wintertime prison. So, this summer when you're sitting at that raw bar, drinking an ice cold beer, and about to eat those twelve perfectly shucked Standish Shore Oysters, try and remember the journey each oyster had to make. In this industry, oysters come and go. Very few harbors are consistently pumping out a high quality product year-round, but I think if we continue to outsmart Mother Nature while respecting her at the same time, Standish Shore Oysters will be here to stay. Harvesting shellfish is a hard job. These are all considerations shellfish harvesters have to think about doing their jobs. Around this time of year, customers tend to see more "NA-ICE" on our price lists, and that is because many of our suppliers are battling icy and potentially dangerous conditions. 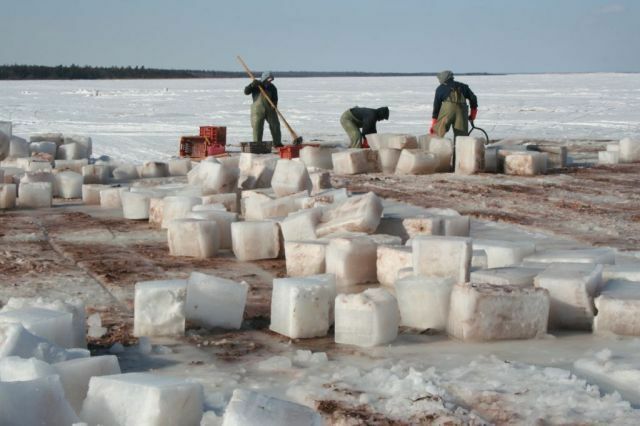 For the harvesters that are willing to bare the extreme cold, they still have to break through the ice to get to their oysters. To each their own! 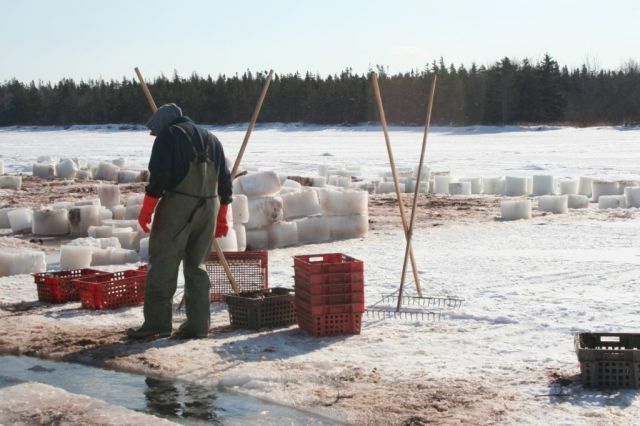 And even if our harvesters can get access to shellfish, sometimes the air may be so cold that it freezes the product once out of the water. At the end of the day, we owe a huge thank you to our harvesters and growers for weathering cold winds and treading through frigid waters to supply product to our customers. 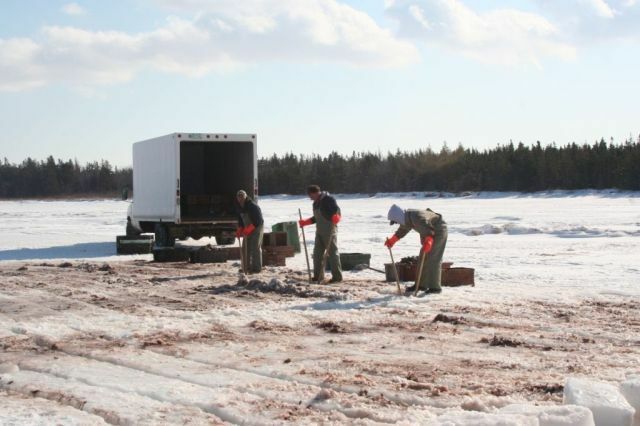 We ask for our customers' patience and understanding because harvesting shellfish is a hard and unpredictable job. Hear Ben's firsthand experience dealing with ice or scroll through the photos below to see some Canadian ice fishing in action. Leave a comment below to thank all of our shellfish fishermen, and we'll make sure to pass them on personally!